Records that include your ancestor’s birth year are not necessarily accurate. Most records before the modern computerized era have self-reported ages, from censuses to marriage records, so often show incorrect information. I remember being asked by a census taker about my neighbors. I really did not know the answers and said so, but in many cases I think people do answer for their neighbors. Also no census taker has ever asked me for an id. This made me realize how inaccurate census records could be for birth years as well as for the spelling of names, which I already knew about. A fine demonstration of these inaccuracies are the many records for my great grandfather Henry H Lee (born H. Halvorsen Skjold in Norway) known to his family as Dada. I found that he kept getting younger in each document and census. A letter from his daughter written in the early 1900s states he was born in 1849 but most documents in America have 1852. His gravestone, shown above, has a birth year of 1853! Please remember that the birth year reported on your ancestor’s death certificate and gravestone came from the surviving family members, so can easily be incorrect. So is the birth record reliable? Back then births happened at home so they were reported by the family or midwife. Several of Dada’s children had a mother of Mary Walters listed by the midwife in Brooklyn when her name was actually Maren Wold (proven many times over with DNA!). So birth records can have errors too, especially when your ancestors may have had thick accents while speaking English. People in the 1800s baptized their children as soon as possible. Thus the baptism date, entered by a churchman, is one date that is surely accurate. 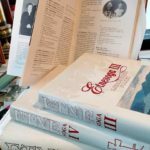 The Norwegians have put many of their country’s church books online. To solve the question of Dada’s birth year, I looked through all the pages of births for Dada’s original home town, Etne, Hordaland from 1849 until nine months after his father died in 1852. 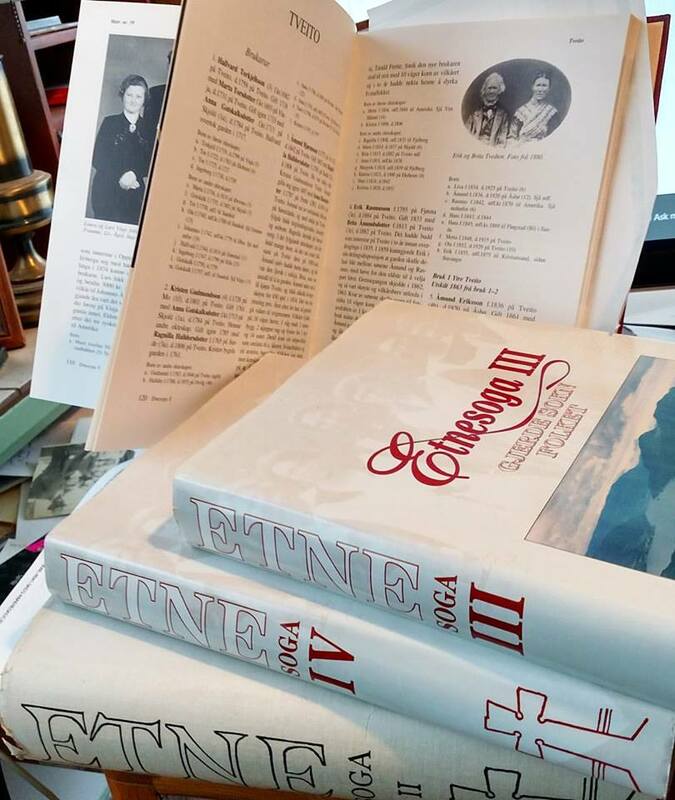 Having just received the Etne, Norway local history books (bygdebuker) for Christmas, I have spent countless hours looking at my ancestors in them. Naturally I have been trying to think of even more ways to use these books. The largest X match he had with an unfamiliar name and email was to *k for 26.8 centimorgans (cMs) and it included a small autosomal match of 6.3 cMs. 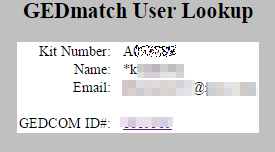 This seemed promising so I used the user lookup function on my GEDmatch home page and was delighted to see that she had uploaded a GEDCOM. The GEDCOM number is clickable from the lookup result and it takes you to a page listing the individual. Of course what you really want is the pedigree to quickly scan for relatives in common and there is a button for that at the top of the page. Better is to use the compare 2 GEDCOMs feature from the home page to compare your match’s GEDCOM to your own. Works great if you both have deep trees but I had no luck with that for *k.
Next I clicked on the pedigree button at the top of her individual listing in the GEDCOM which took me to her pedigree page. Nothing jumped out at me and most of them were from Germany. So what is the opposite of the saying when it rains it pours? How about the sun is not only shining but there are rainbows! When you keep extensive spreadsheets that include the common ancestor for segments of DNA that triangulate, you sometimes have quick success with a new DNA relative. I recently shared my Norwegian 3rd cousin’s kit with Shelley on 23andme. She has a large X match with him that I am still working on. 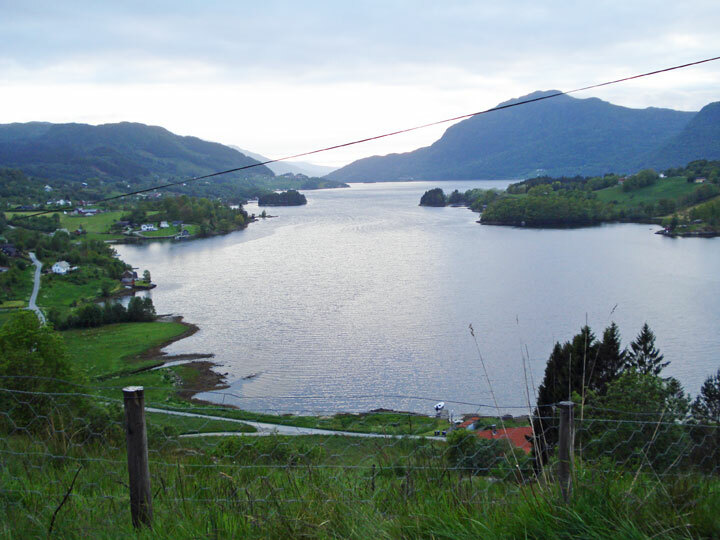 His maternal side from Rogaland is not related to me that I know of. Naturally I always compare a new DNA relative to everyone else possible. I was surprised to discover that she shares a small bit of DNA with my Dad and my brother that triangulates with a known fourth cousin and her sister. Synchronicity … these are the same cousins mentioned in my previous post about my X segment from Ve and Fatland. So I emailed Shelley and told her that she shares a small (6cM) segment that we know comes to us from our ancestor Aamund Bjørnson Tvedten (Ve) 1772-1842 so perhaps we share one of his ancestors. She replied back, all excited, wow my great-grandmother is Anna Wee (Ve). Endogamous populations are much harder to work with in genetic genealogy because you have double and triple 6th cousins who look like 2nd to 3rd cousins when you compare their DNA to yours. Ashkenazim (see my Ashkenazi DNA post), Mennonites (see Tim Jantzen’s project), and Polynesians (See Kalani Mondoy”s project) are a few of these intermarried groups. See the ISOGG wiki for a further discussion of endogamy. A fellow genetic genealogist, Israel Pickhotz, has written a fascinating book about how he has confirmed and refuted many genealogical connections in his extended Ashkenazi family. He did this by testing every cousin he could. That story is an inspiration to those of us frustrated by using DNA to research our jewish roots. It is as easy to read as it can be, given that genetic genealogy is not easy to understand. Lara, blogging at her blog Lara’s Family Search, wrote an excellent description of the book in her review which is hard to improve upon. Another DNA expert, Jim Bartlett has just written an interesting blog post investigating the math of endogamy at his segmentology blog. As it is titled part I, I am looking forward to part II. The problem comes when so many cousins marry each other as you go back up the tree that it gets difficult to calculate the shared DNA. Plus once you get past 3rd cousins, DNA inheritance becomes more and more random anyway. On my Norwegian side, my Dad has a woman “MB” listed as a 2nd to 3rd cousin who upon investigation was found to be a fifth cousin three times and a sixth another time. She shares 49 cM over 4 segments with my Dad and a whopping 141 cM in 8 segments with my third cousin in Norway. That third cousin is related the same way to MB as we are, but he, like MB, descends from a cousin marriage within this group. My worry is nothing on this trip will match the incredible day we had yesterday in Etne, Hordaland, Norway. The ancestral farms around the lake were so very green with snow-capped mountains behind them and sheep everywhere. The weather was perfect. We had a traditional lamb and cabbage stew lunch with the Skjold third cousins on their deck overlooking the valley and lake. Followed by fruit-filled waffles. 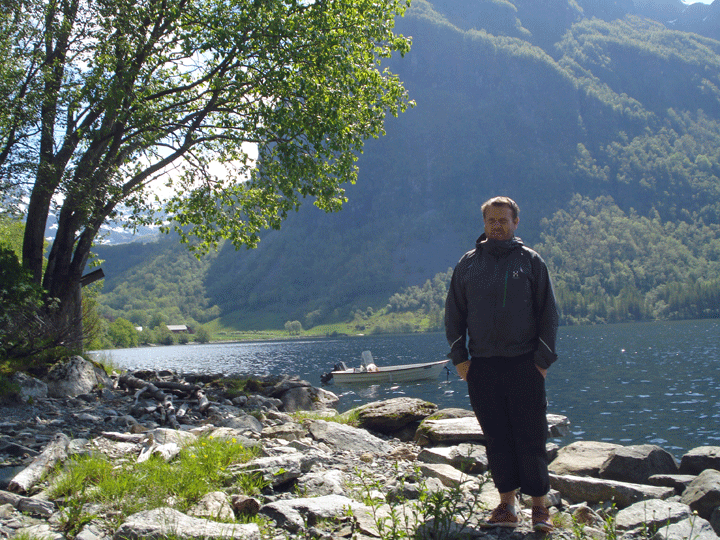 Our cousin Jarle was a wonderful guide. 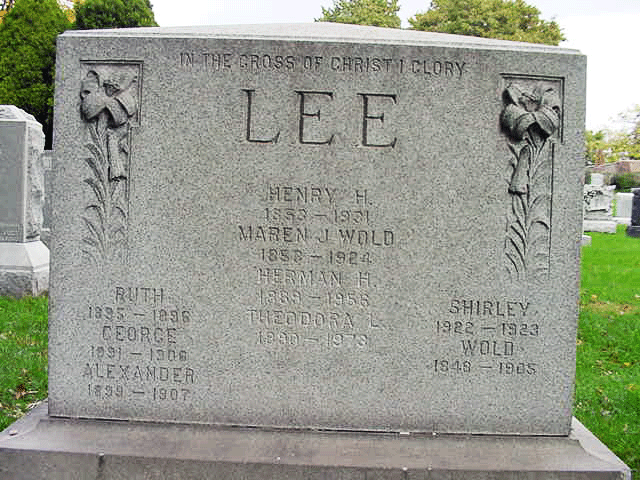 He showed me the house, still there, where my great grandfather H. H. Lee was born on farm Skjold. 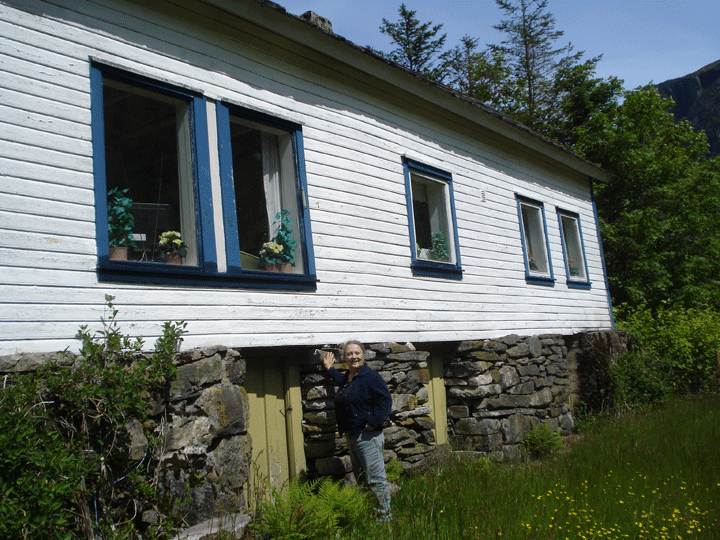 He mentioned that they had shown cousin John the wrong farm, the newer Skjold farm built by Jarle’s grandfather. Jarle also told us that the children called the white plastic wrapped hay bales “tractor eggs” because they came wrapped that way out of the backs of the tractors. Also we learned that most of Norway’s electricity is hydo-electric and that there are green chemicals available for fracking but regulations in the USA are such that companies do not have to use them. He works in the chemicals for oil companies business by the way.